The weekend promises to have some of the last hot days of the summer. My flying friend and I are taking his Piper for a spin. EDAH is the destination for the day. The sky is blue and so is the forecast. So we are a bit surprised to see a dark storm frot looming to the west when we come closer to the coast. Loks like we found the only patch of bad weather in a 500 mile radius. An unmotivated rain shower makes for a nice atmosphere under the sun shades on the terrace of the airport restaurant. When we are ready to leave, the weather radar shows a thin but long storm front almost completely stretching along our way home. So we decide to fly west at first and turn south as soon as we are behind the front. „Tango India“ is equipped with a storm scope. An antenna that can detect electro magnetic pulses (EMPs), their direction and intensity. These pulses are caused by lightning, so the system can put lighting strikes in the area on a map. 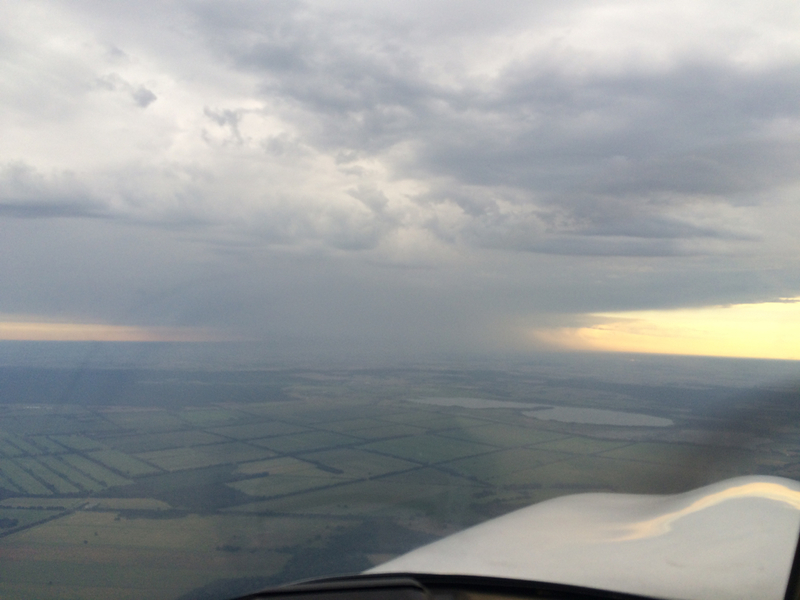 This is the first time that either one of us is flying close enough to a storm cell to see the system in action. We navigate along the back side of the storm and the storm scope is lighting up. After the initial excitement of seeing the new gadget in action, we start referencing the information on the screen with what we see outside. What a great learning experience. When we get close to the Big City, the last bit of weather is still between us and our destination. So we divert to EDBF for a cup of coffee. 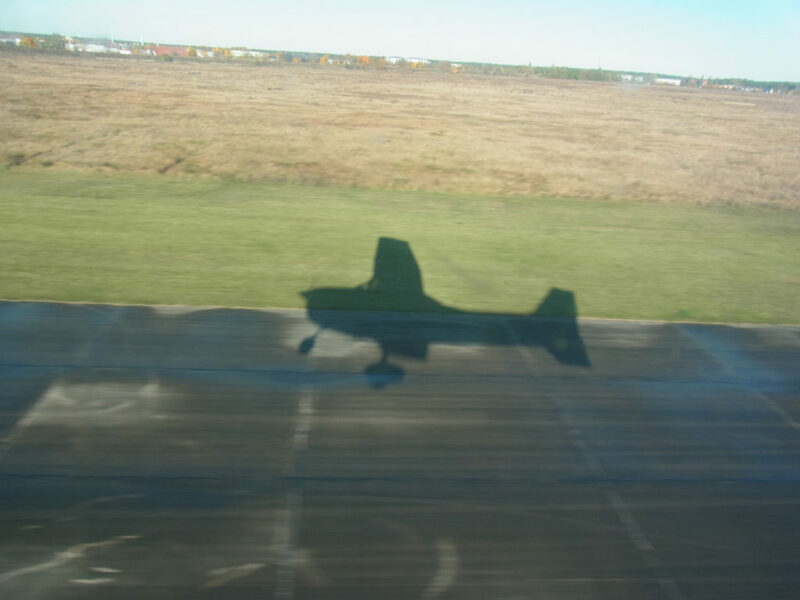 The sun is shining but the runway is still wet. We are told that the storm here was short but strong. Back at EDAV later that evening we move the other airplanes out of the hangar to clear the path for „Tango India“. Her spot is in the very back. This morning, when we had to move the same planes in order to get her out, we discussed for a moment if we should just leave them outside for the day. I’m very glad we spent the couple of extra minutes to put them back into the shelter. 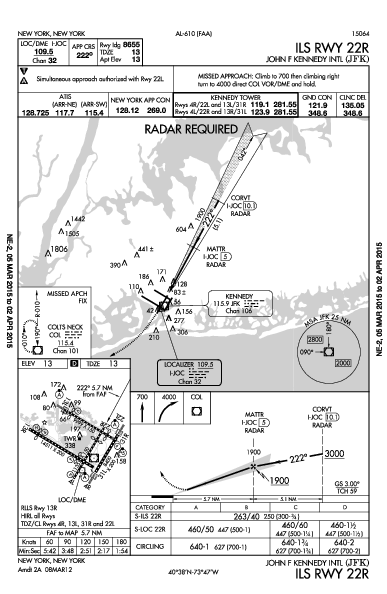 Did I cross the atlantic ocean in my old training ship „Kilo Sierra“ in order to do an instrument approach in to John F. Kennedy International Airport in New York city? I may wish – but no. I’m sitting at a desk at a flight school in Kyritz training for my next radio license. So far I have the regular radio license for private pilots. 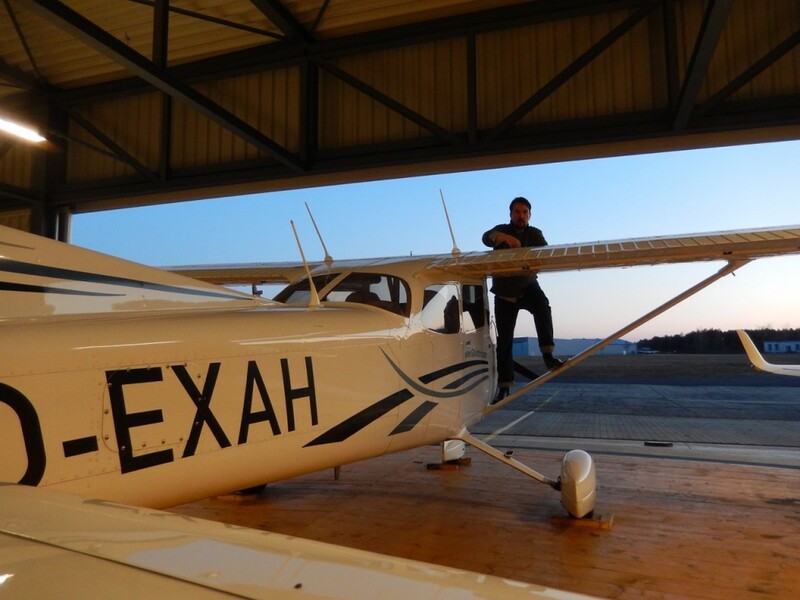 The next step will be the so called „AZF“ – a pre requisite for commercial pilots and for the instrument rating. 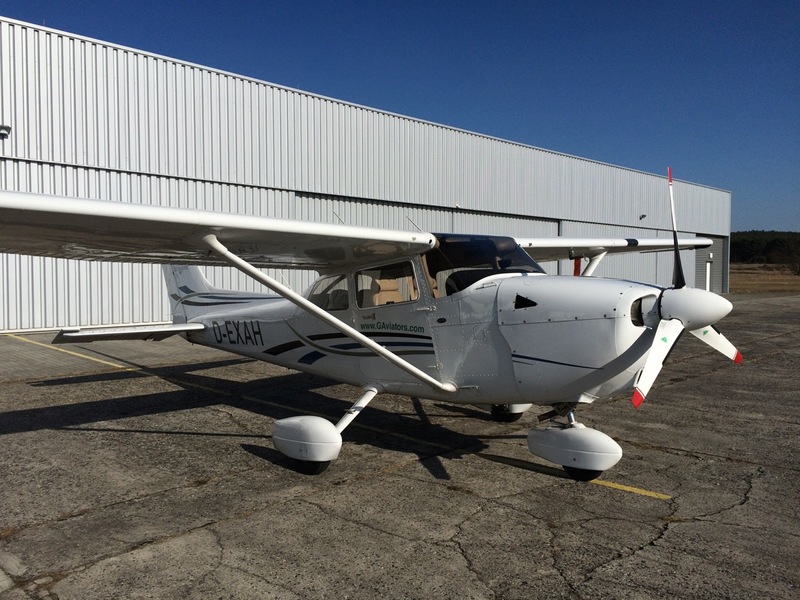 The Cessna 172 is the Chevy of the skies. Affordable, reliable, easy to service and ist does not turn heads. In fact, I used to think they are a bit ugly. But beauty lies in the eyes of the beholder and I have changed my mind when I learned to fly the 172. I have actually grown very fond of her sturdy reliability and easy handling. Today I am flying the future of the 172. „Alpha Hotel“ has a Garmin G1000 glass cockpit as well as a diesel engine. 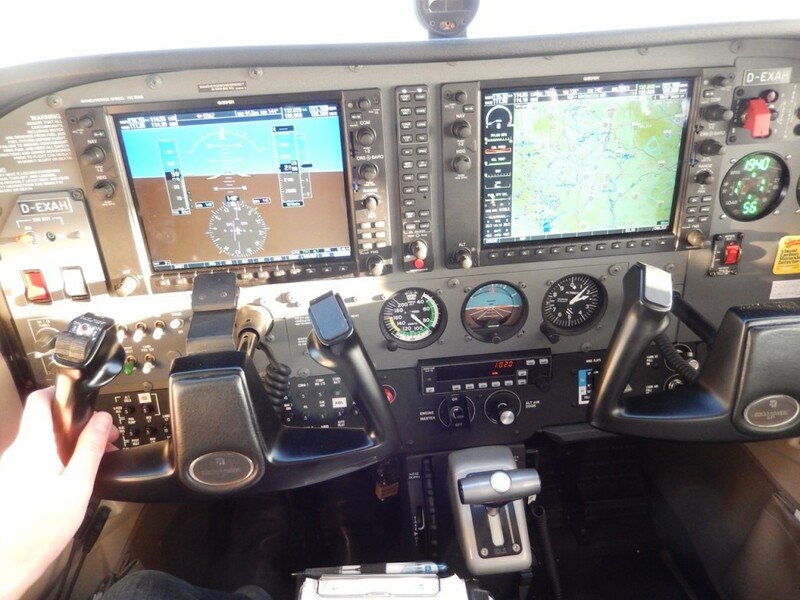 The G1000 avionics suit is the gold standard of glass cockpits in general aviation. The system typically is configured with a „Primary Flight Display“ (PFD) and a „Multi Function Display“ (MFD) – both large flat panel displays which dominate the cockpit. 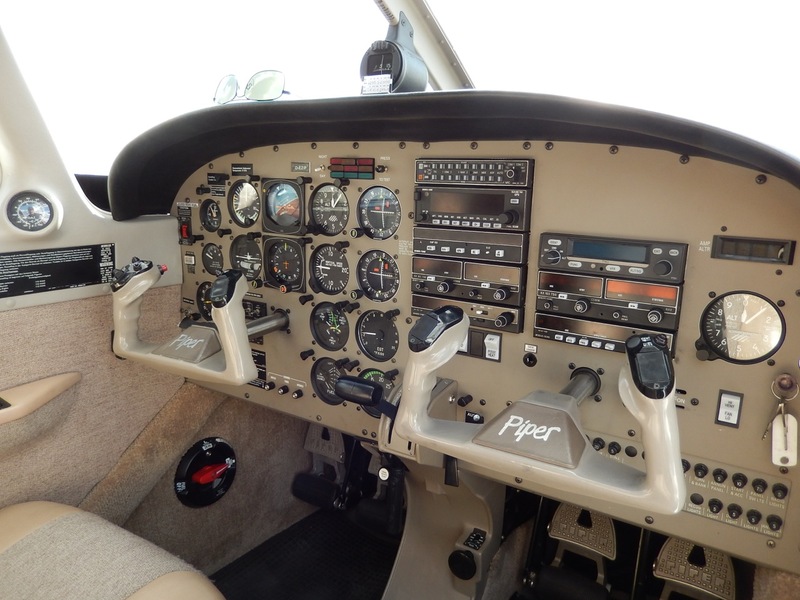 The PFD is a large attitude indicator (artificial horizon). Some versions even come with a computer generated image of the terrain – very valuable in low visibility. 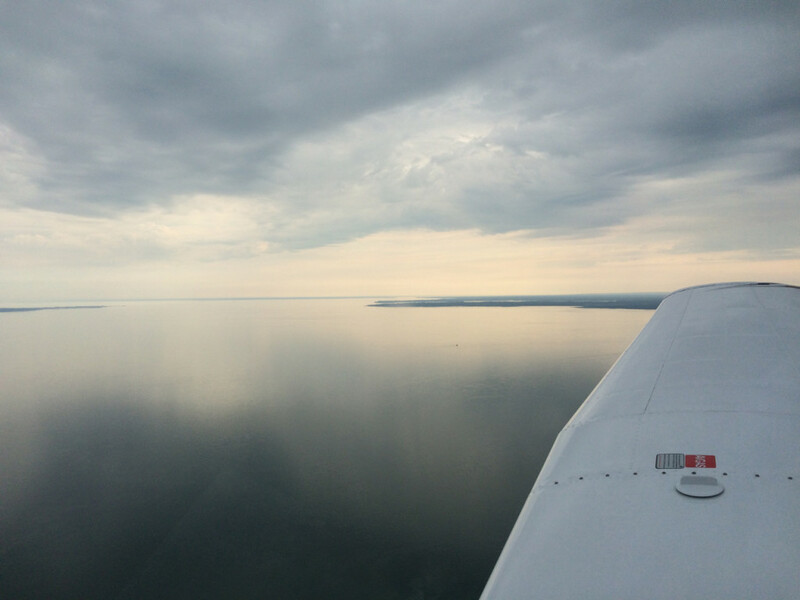 Course, altitude and airspeed are displayed on a layer over the horizon. The information is easily accessible and comprehendible. The MFD can be used to show engine information and is used as a giant navigation display. The difference between traditional instrumentation and a „glass cockpit“ is enhanced situational awareness (no chance to miss that big horizon) as well as system integration. All relevant information is in one spot. 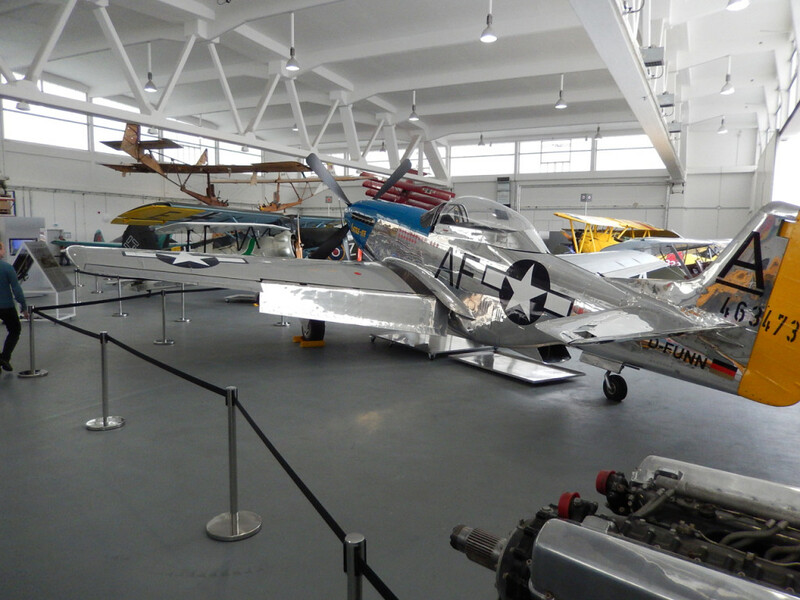 The piston engines of small aircraft are very reliable and light but also very old fashioned. Because of the very small numbers, technical development is slow and because of the emphasis on reliability, the adaptation of new and unproved technology is slow. 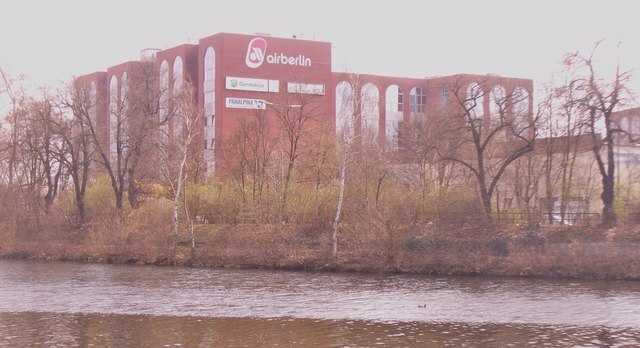 The power plant working in „Alpha Hotel“ is a major innovation. An electronically controlled diesel engine by the Thielert company. It has 135 horse powers and and adjustable pitch propeller. It runs smooth and quiet and it has great fuel economy. On top of that, the Thielert diesel engine burns jet fuel – Jet-A happens to be very close to diesel fuel. And Jet-A is much more common and way cheaper than Avgas. 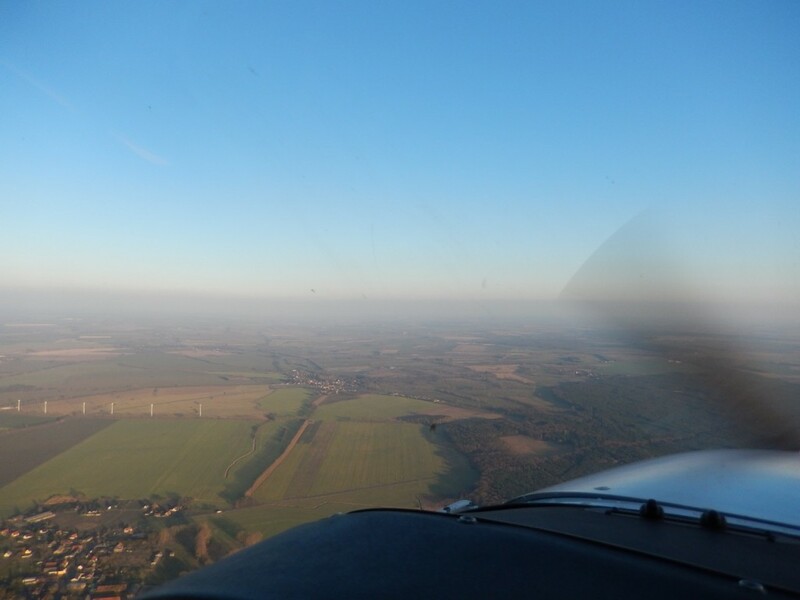 A standart 172 has two leavers in the throttle quadrant – power and mixture. The Thielert engine has two redundant electronic control units (ECU) to manage the engine. So I only have one leaver for power. Everything else is adjusted automatically. 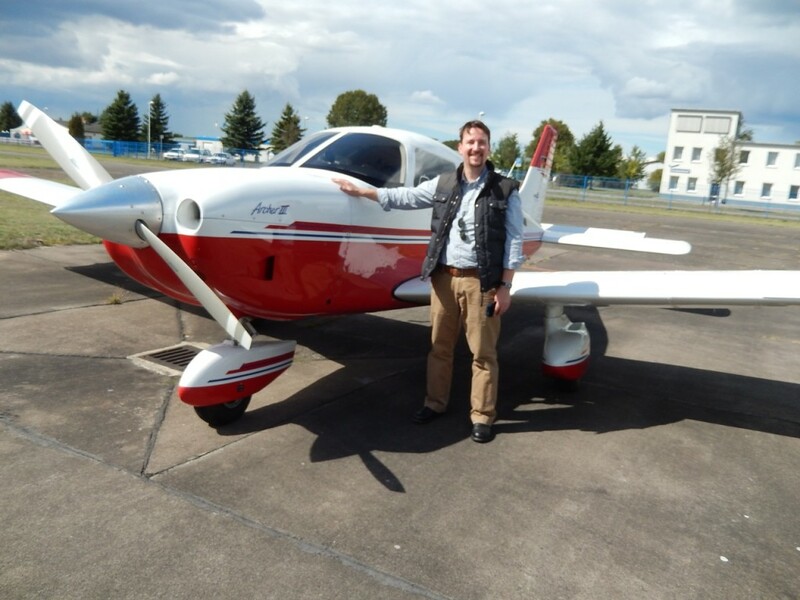 What has been standard in cars for 30 years has finally arrived in general aviation! The adjustable pitch propeller is also controlled automatically. 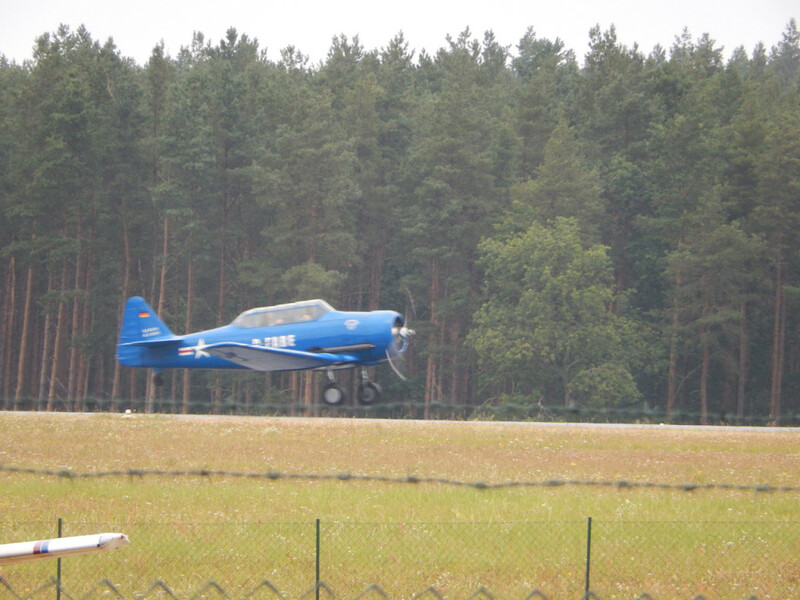 The blades of the propeller are pitched according speed. This further improves fuel economy and speed. After a very thorough briefing and explanation of the systems, we take-off. The majority of my flying as private pilot has happened on Cessnas. So I am a bit surprised when I have considerable troubles with the approach. I am used to aircraft with fixed pitch propellers. On a stabilized approach, very little manipulation of the power is needed. Once the desired sink rate is established, the speed is mainly controlled with the pitch. 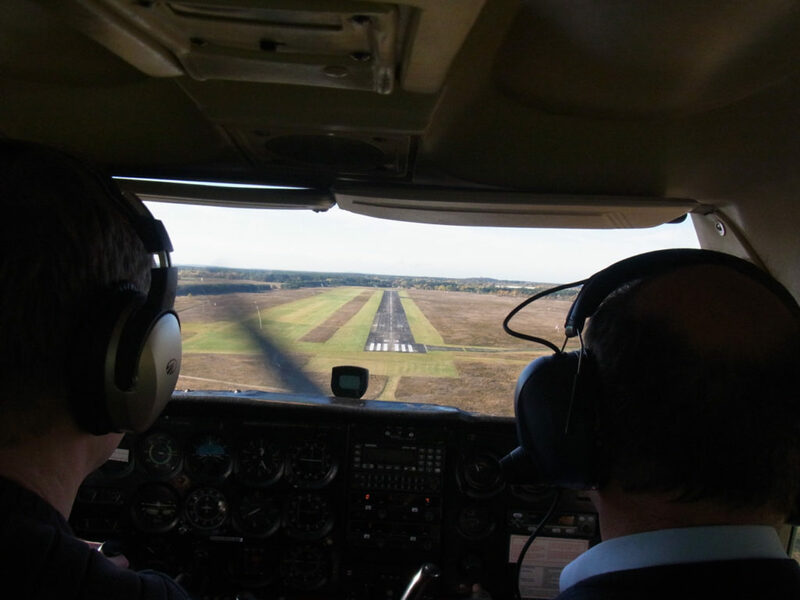 On short final with slow RPMs, the propeller of „Alpha Hotel“ pitches high in order to be effective for a possible go-arround. At the same time, this setting increases the resistance of the propeller in the air stream. It acts like a big air break on my nose, bleeding down the air speed fast! I push the nose down and the instructor tells me to also increase the RPMs. The landing is pretty lousy. On the next couple of approaches I am more careful with the combination of pitch and power but I don’t ever feel fully in control of the situation. We debrief the flight over a cup of coffee. I am a bit down about how many problems I had with an aircraft I thought I was comfortable with. A humbling experience. We make a new appointment and this time I am more prepared for what to expect. I concentrate on the power/pitch settings on final approach. After an hour of pattern work I am still not happy with my landings but they are at least more or less under control. I’m keen on getting better with „Alpha Hotel“ and book her for a solo trip the same week. I do patterns for a while with okay landings but not much improvement. Then I climb to 2.000 feet and turn north. I will take an advanced radio class at a flight school in Kyritz (EDBK) next week. Today I plan to fly there to pick-up the books. The flight is about 30 minutes. 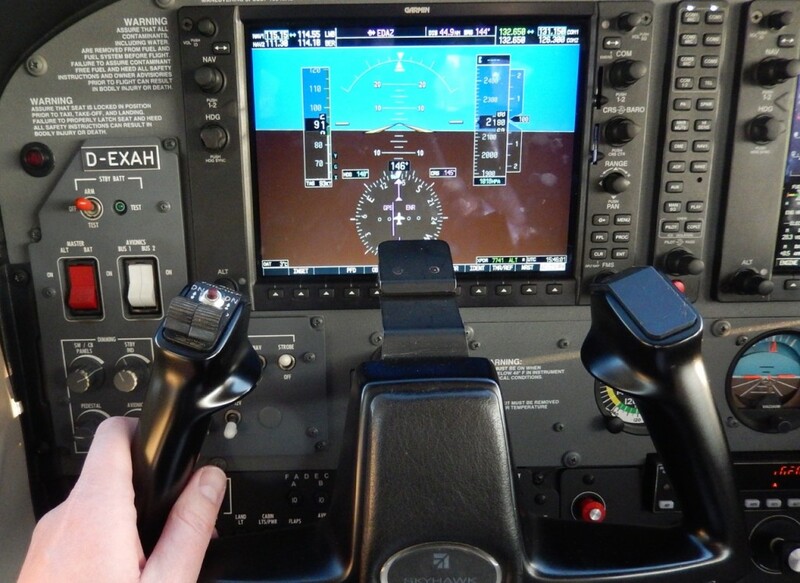 Enough time to start playing with the auto pilot and to dig deeper into the powerful G1000 suite. It will take a long time before I can make full use of it. But the basic functions are so intuitive that it is a joy to use the panel. The approach into Kyritz is a bit hectic. There is a lot of traffic and I am number 2 behind an aircraft that simulates an engine failure. The runway is much smaller than the one in Schönhagen and I am a bit tense. And then it happens – a greaser of a landing, right on the numbers, perfect speed and so smooth that it makes this pilot smile. Looks like „Alpha Hotel“ and I will be friends after all. It is one of the sunniest days in weeks and while everyone else enjoys the sunshine, I anticipate sun set. Dusk is turning the clear sky to shades of dark blue when I arrive at the airport. I have double checked the batteries of my pilot flash light, I will need it tonight. 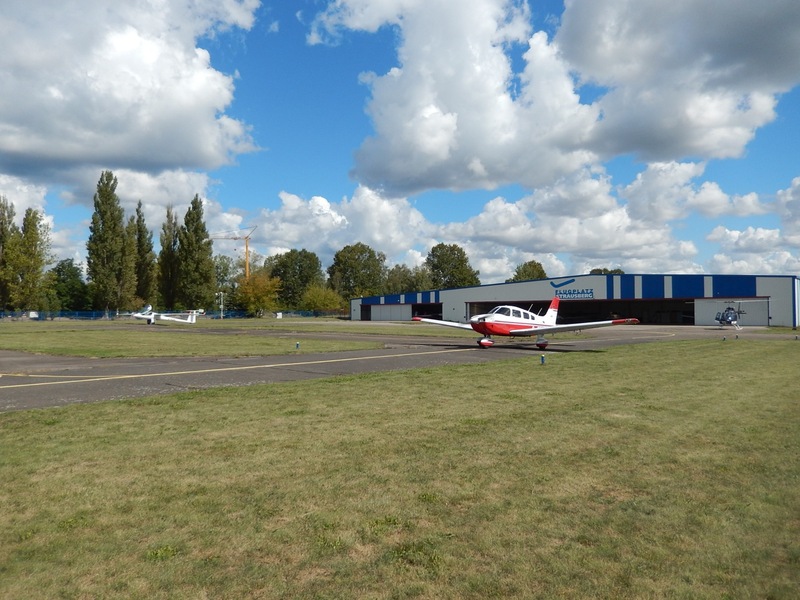 The office of the flight school is packed. Pilots are standing around in groups, chatting, laughing. It’s like a cocktail party but without the booze. 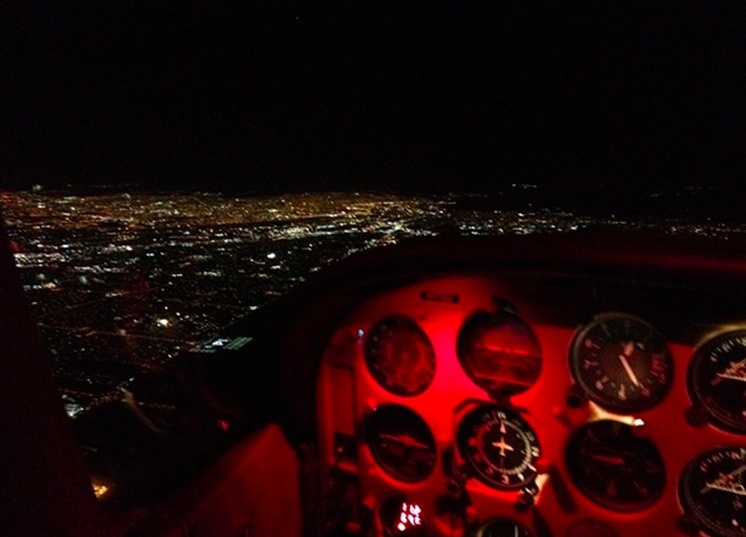 Night VFR is a separate endorsement to the private pilots license in Germany. 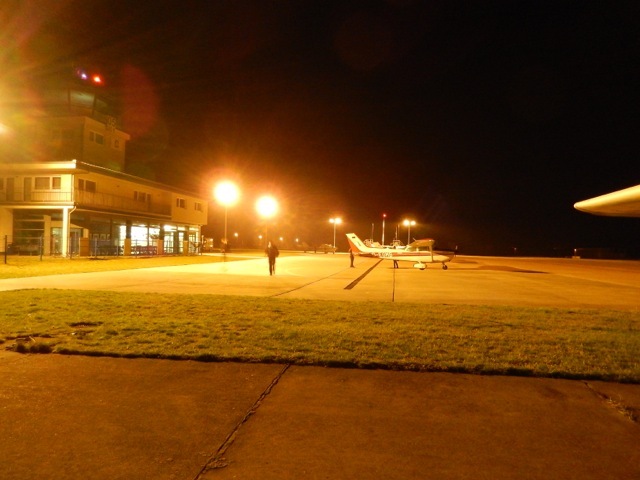 The airport has longer hours for night training once a month. I will have my second or third lesson tonight. 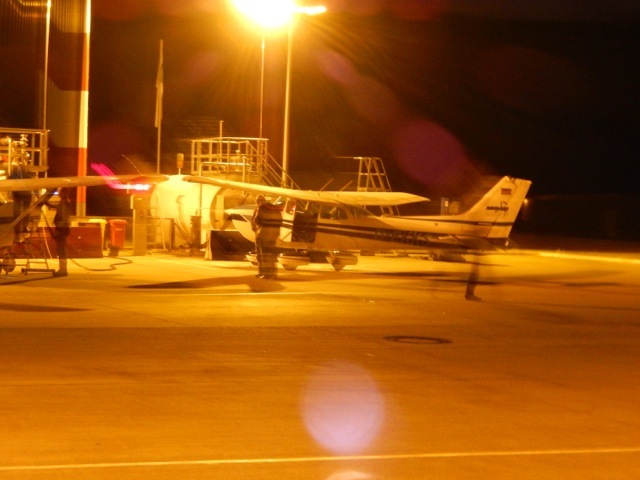 The apron is illuminated by flood lights and I don’t really need my flash light for the preflight check. But I’ll be damned if I don’t use it tonight! 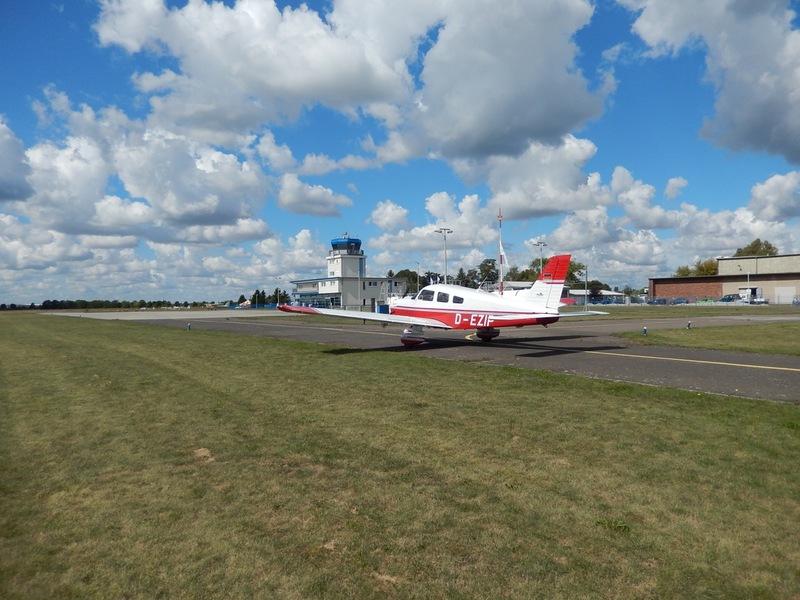 A student pilot asks if he can come for the ride. Of course he is welcome. On my first night flight, the full moon was reflected by the full cover of snow. Easy conditions for starters. Today there is neither moon nor snow – but stars. The plan for tonight is a trip north to the Friedland VOR (FLD), close to the coast. 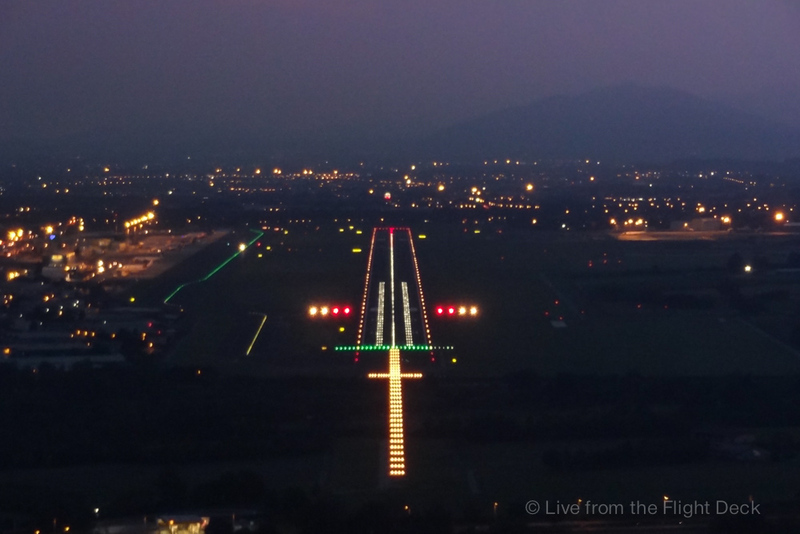 The tower opens our flight plan and we are off into the night. The air is cold and glassy smooth. 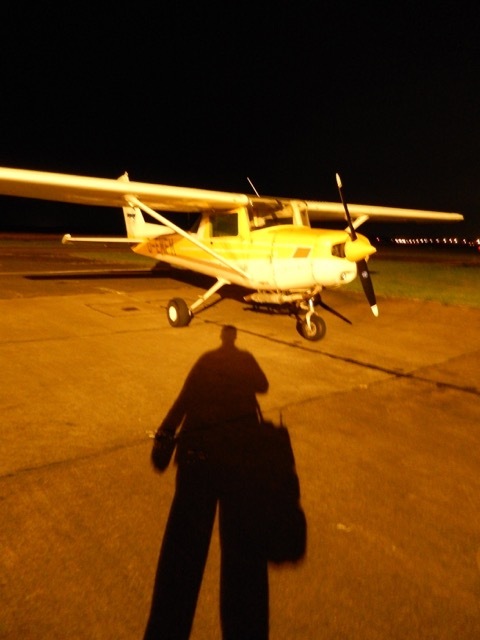 The large Lycoming takes big, hungry bites out of it and we climb fast despite three people and a big load of fuel. The radar frequency is busy with coordinating airliners for evening flights into the two major airports. They don’t have much patience for us and seem glad when they can hand us off. The new frequency is almost silent and the controller is chatty. The lights on the ground are getting fewer and further apart as we are leaving the perimeter of the Big City. And all of a sudden I realize that the black void under the stars on the horizon must be the Baltic Sea. Magic. “Kilo Sierra” is a lady with a lot of experience under her wings and not a lot of upgrades since she left the factory. She is kept up very well but her condition is pretty original. So I know exactly how a pre-GPS student in the 70s felt. The illumination on the control panel is pretty minimal. Some of the instruments have dim lights. Others – like the artificial horizon – have no illumination of their own. There is a small, adjustable map light with a red bulb close to my head. I use that for the instrument panel and after a period of adjustment, it works surprisingly well. I keep my flash light on the seat. It makes me feel better but I only use it once or twice. On the way back we fly towards the lights of the Big City. A different kind of magic. Suddenly we encounter light turbulence and the lights disappear. 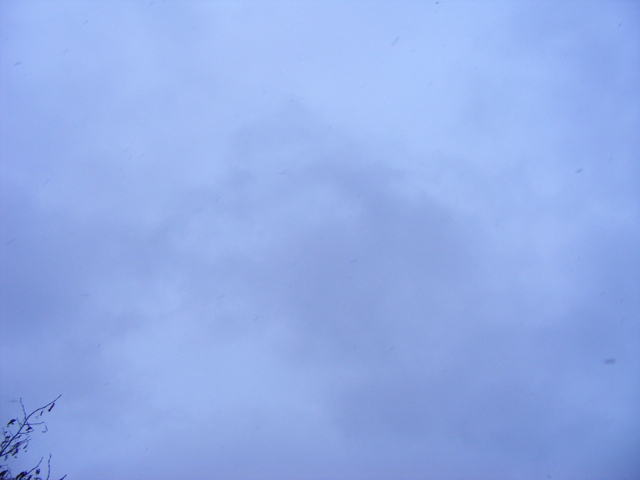 We are flying into a cloud that I did not see in the dark. I was trained to focus on the artificial horizon when I loose visual contact to the ground. It is quite amazing how difficult it is to keep the airplane straight and level once you don’t see the ground any more. 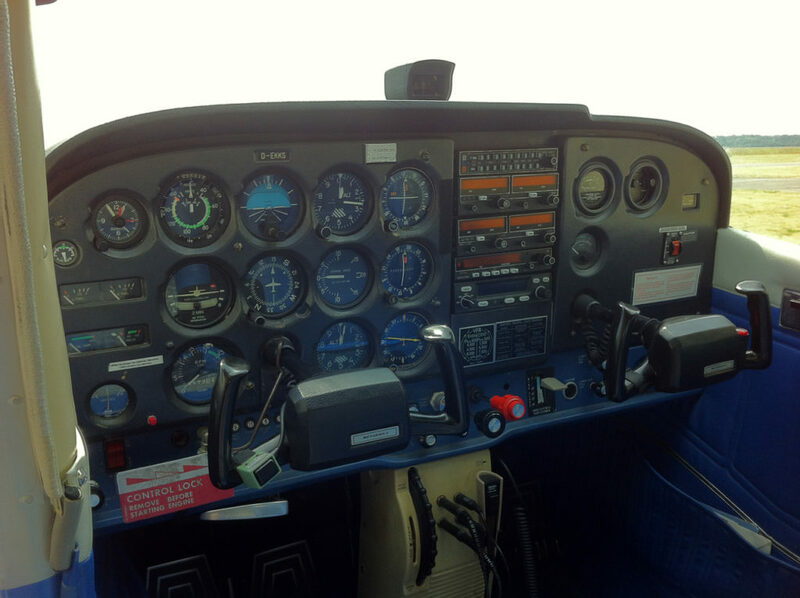 I am grateful for the training with the IFR cap I have had. Back at the home base, the pattern is still busy. It is both important and difficult for a novice to build a mental picture of the positions of everybody in the pattern. I will need a bit more time for the night VFR rating and a lot more until I feel comfortable flying at night. But I’m very much looking forward to the process!